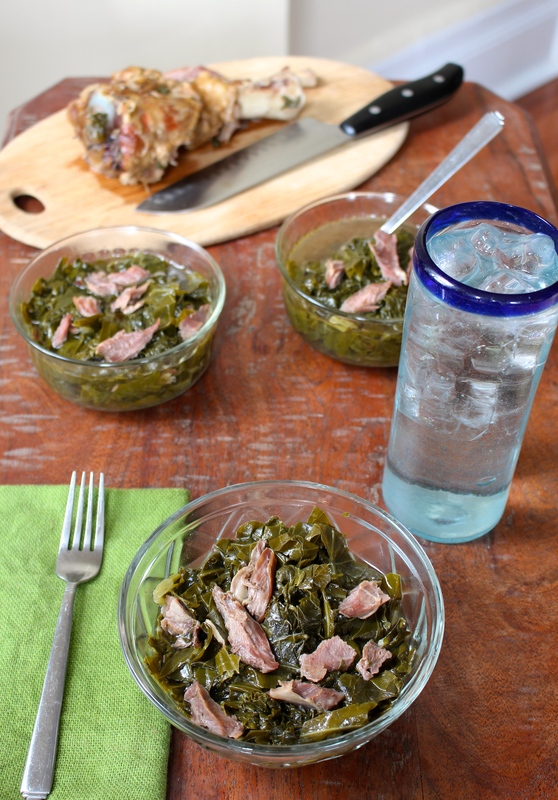 Greens, black eyed peas and pork are always eaten on New Year’s Day. In folklore, the Southern tradition goes back to the Civil War. 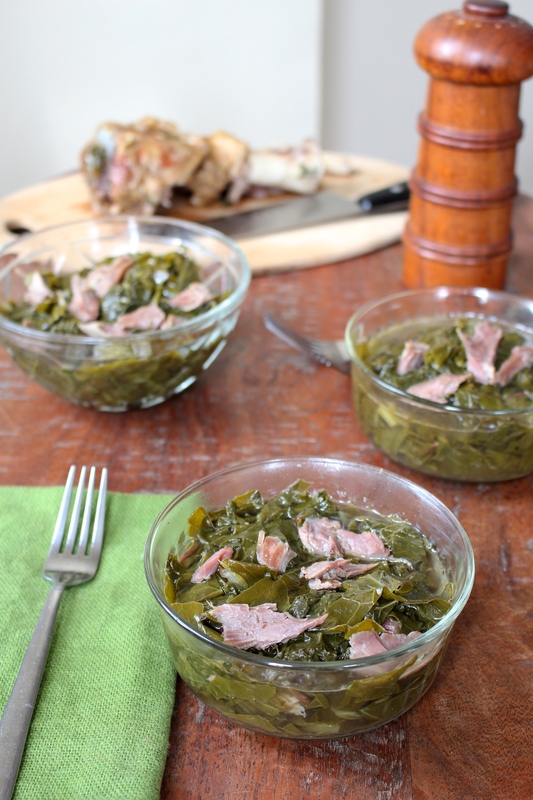 Union troops pillaged the land leaving behind only black-eyed peas and greens. Southerners had to survive on these humble foods. Beans represent coins or closed circles signifying the end of one year and good luck in the next. Greens represent wealth and prosperity. And since pigs root forward as they eat, pork is eaten to symbolize a positive direction in the upcoming year. Black eyed peas can cause me a bit of stomach upset so I opted out of making a big batch this year. Instead I’ll eat just one for food fortune! Wishing you all prosperity, good health and love in 2015. ►In a large pot, bring water to boil over high heat. Add ham hocks, seasoning and hot sauce. Turn down heat to medium low and cook covered for 1 hour. ►Make sure to wash all greens thoroughly. Remove stems by either cutting out with a knife or with your hands. Hold the stem in your left hand and strip the leaf in the opposite direction with your right hand. Save the stems for another dish. 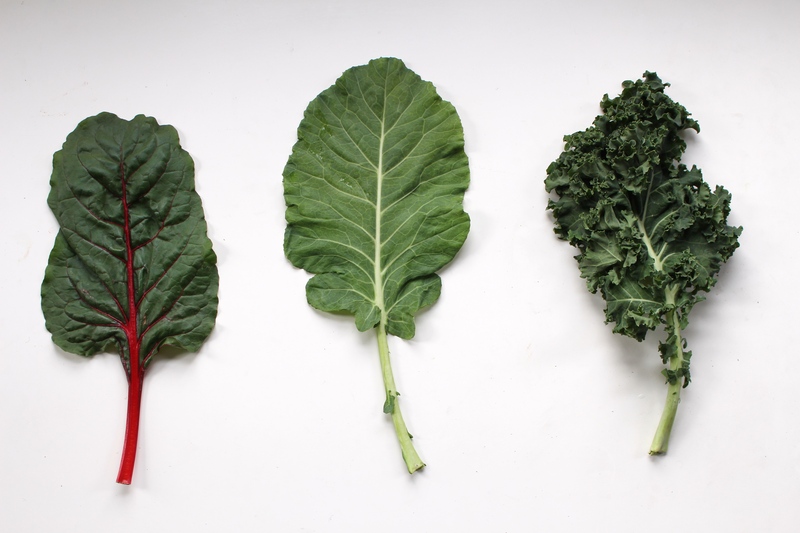 Roll up each leaf horizontally and cut into 1 inch slices. ►Add greens and the coconut oil to the pot. Stir together and cook covered for 45 minutes on medium low. 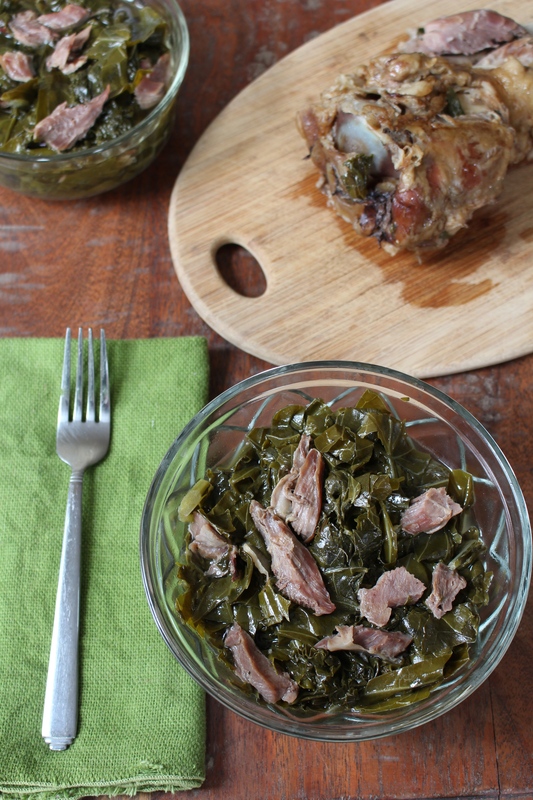 ►After cooking, remove the ham hocks and cut off all the meat to add back into the pot. Reserve the bones in your freezer for making broth. ►Serve as a side dish or main meal. On Sunday, I made my annual trip to the pumpkin patch and we came home with bushels of produce! There are still so many pumpkin recipes in the works and it was perfect inspiration. The best part is that the farm we visited uses organic standards for everything they grow. Hooray for no pesticides in our food! I created this pumpkin chili recipe in anticipation of chilly fall evenings around the corner. The ingredients are simple and I like to load it up with veggies to up the antioxidant benefits. Pumpkin adds creaminess and also balances out the acidity of the tomatoes. Since I generally only cook for two, I froze more than half to whip out on a lazy week night. The flavors will only enhance the longer it sits so it’s an excellent freezer meal.In this dish, the pumpkin grabs your attention but the beef is the star of the show. Make sure your beef is the best quality you can buy. You want beef from grass-fed cows, raised humanely. 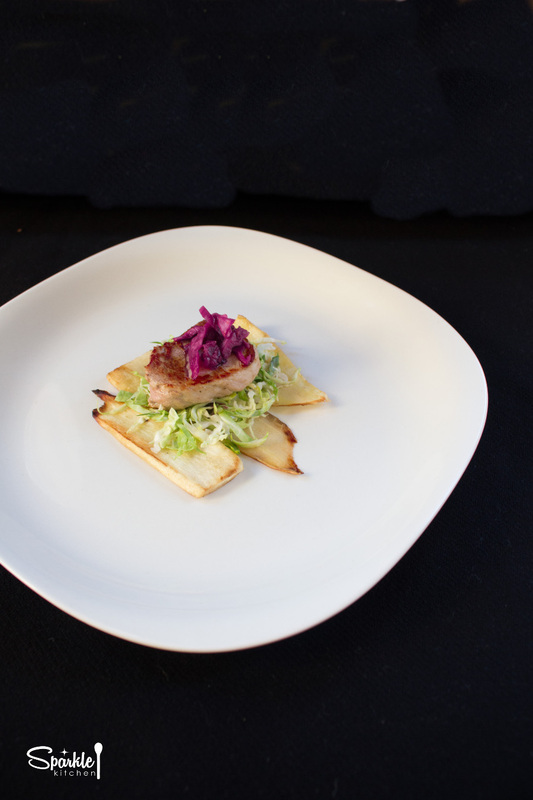 Not only will the flavor be quite different from conventional meat, the nutritional benefits far exceed it. If you’re still on the fence about eating red meat, have no fear and read Chris Kresser’s post, Red Meat: It Does a Body Good! ♦ Grass-fed has 2-5 times more omega 3s. ♦ Grass-fed contains higher amounts of conjugated linoleic acid (CLA), which has potent antioxidant activity. ♦ Cows create Vitamin K2 when they consume grass. Our bodies easily absorb this when we eat beef, which has incredible benefits. K2 is responsible for distributing calcium throughout the body leading to improved bone density. ♦ Grass-fed are typically raised on pasture and under humane practices. ♦ Grass-fed cows receive little to no antibiotics and no growth hormones. ♦ The list of environmental benefits for grass-fed is numerous. NRDC created a Top 10 List. ♦ Conventional farming methods feed cows grain, which they cannot digest. This inability to digest leads to illness and the intake of antibiotics. Beef adds to our over-exposure of antibiotics. ♦ Beef from conventionally raised cows are more susceptible to E-Coli infection. ♦ Get to know your local farmers and frequent your farmers market. ♦ Ask your friends to split a cow share with you and invest in a deep freezer. ►In an 8 quart dutch oven over medium-high heat, brown ground beef for 6 minutes until medium doneness. 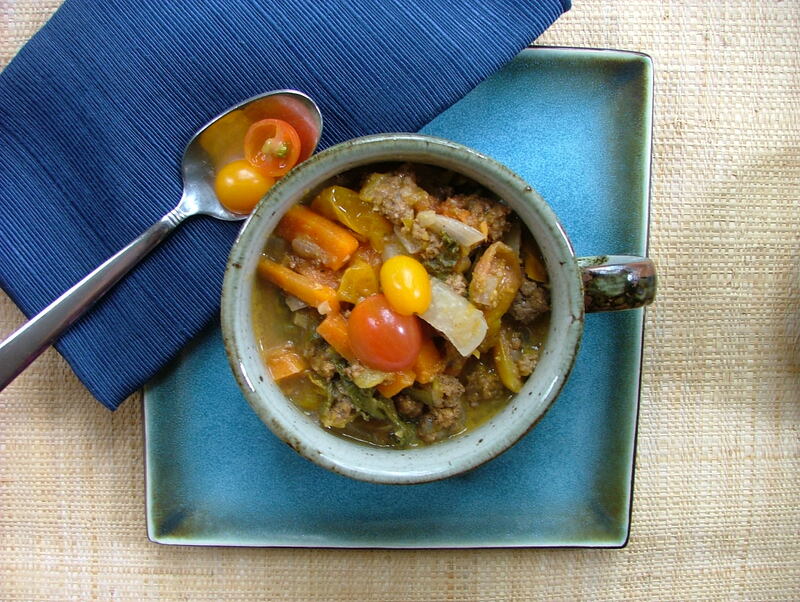 ►Remove meat from pot with a slotted spoon to leave the fat remaining. Over medium heat, saute onion and garlic in beef fat for 3 minutes. Then add in carrots, turnips, greens and 1 tsp salt. Cook for 5 minutes, stirring throughout. ►Add tomatoes, beef broth, water, cinnamon, chili powder, and remaining salt. Stir to combine. Cover and cook for 15 minutes. ►Bring heat to medium-high. Stir in pumpkin and beef, then cook for 8 more minutes. 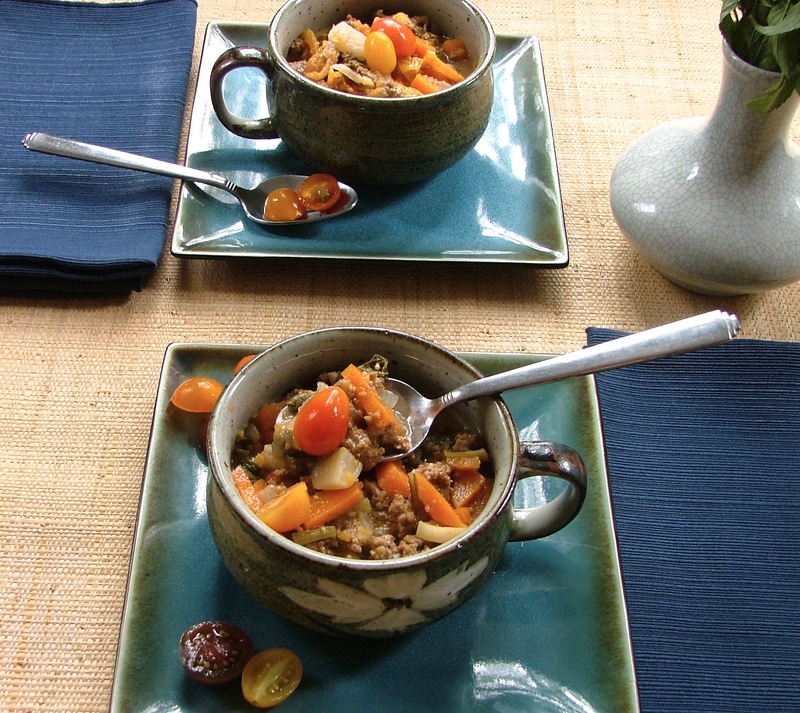 ►Remove from heat and ladle into bowls. 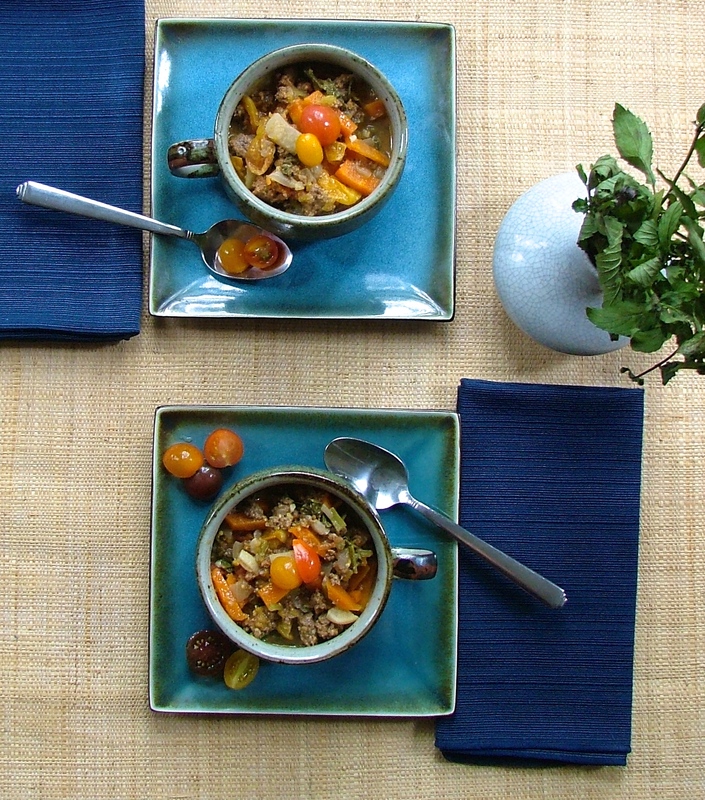 Top with mini heirloom tomatoes and a dash of cinnamon.